CISPR 16-1-1 There are 6 products. Rent, buy or lease CISPR 16-1-2 Artificial Mains Networks. 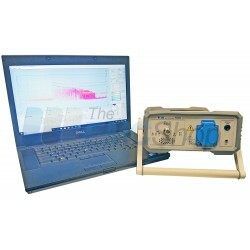 The EMC Shop specializes and stock test equipment for measurements of radio frequency emissions. A CISPR 16-1-2 artificial mains network is required to provide a defined impedance at radio frequencies at the terminals of the equipment under test, to isolate the test circuit from unwanted radio-frequency signals on the supply mains, and to couple the disturbance voltage to the measuring receiver. There are two basic types of artificial mains networks, the V-network which couples the unsymmetric voltages, and the delta-network which couples the symmetric and the asymmetric voltages separately. For each mains conductor, there are three terminals: the mains terminal for connection to the supply mains, the equipment terminal for connection to the equipment under test, and the disturbance output terminal for connection to the measuring equipment. 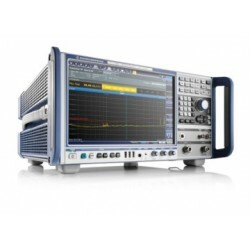 Rent, buy or lease CISPR 16-1-2 Current Probes. The EMC Shop stocks calibrated test equipment for radio disturbance and immunity measuring. The asymmetrical disturbance currents of cables can be measured, without making direct conductive contact with the source conductor and without modification of its circuit, by use of specially developed clamp-on current transformers. The utility of this method is self-evident; complex wiring systems, electronic circuits, etc., may be measured without interruption of the normal operation or configuration. The current probe is constructed so that it may be conveniently clamped around the conductor to be measured. The conductor represents a one-turn primary winding. The secondary winding is contained within the current probe. CISPR 16-1-2 current probes are constructed for measurements in the frequency range 30 Hz to 1 000 MHz, although the primary measurement range is 30 Hz to 100 MHz. Beyond 100 MHz the standing currents in conventional power systems require that the current probe location be optimized for detection of the maximum current. Current probes are designed to provide a flat frequency response over a passband. At frequencies below this flat passband accurate measurements can still be made but with decreased sensitivity due to reduced transfer impedances. At frequencies above the flat passband measurements are not accurate due to resonances in the current probe. 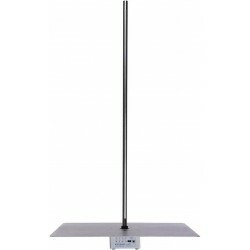 Rent, buy or lease CISPR 16-1-2 High impedance and capacitive voltage probes. The EMC Shop stocks calibrated test equipment for radio disturbance and immunity measuring. Figure 6 shows a circuit which is used to make voltage measurements between a mains conductor and reference ground. The probe consists of a blocking capacitor C and a resistor such that the total resistance between line and earth is 1 500 Ω. 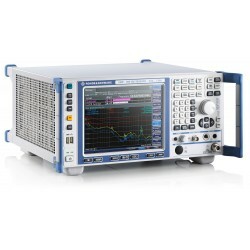 The probe may also be used to make measurements on other lines and for certain applications its impedance may need to be increased to avoid excessive loading of high impedance circuits. An inductor may have to be connected across the input of the measuring apparatus, for safety reasons; its inductive reactive, Xc, to be much greater than R.
The capacitive voltage probe is used for measurements of conducted disturbances in the frequency range 150 kHz to 30 MHz with an almost flat frequency response in the frequency range of interest. The voltage division factor, which is defined as the ratio of the disturbance voltage on the cable to the input voltage at the measuring receiver, depends on the type of cable. This parameter should be calibrated over a specified frequency range for each cable type, using the method described in Annex G.